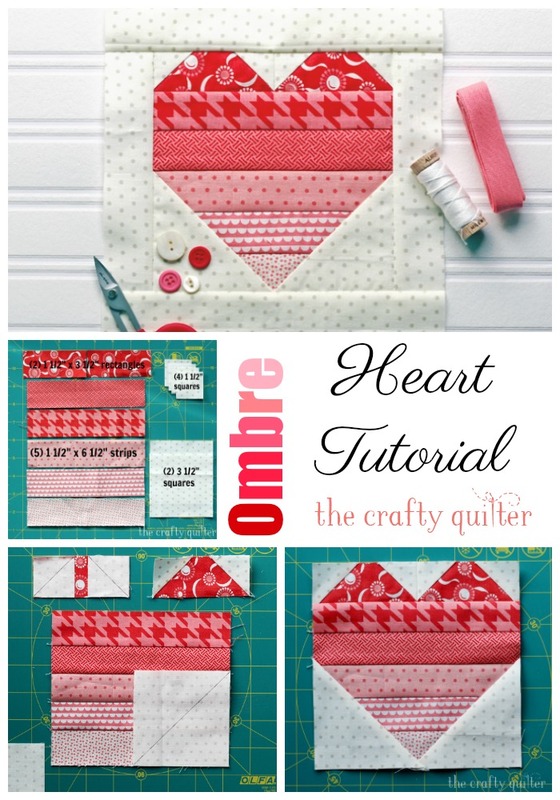 Today I have a quick Ombre Heart quilt block tutorial for you! 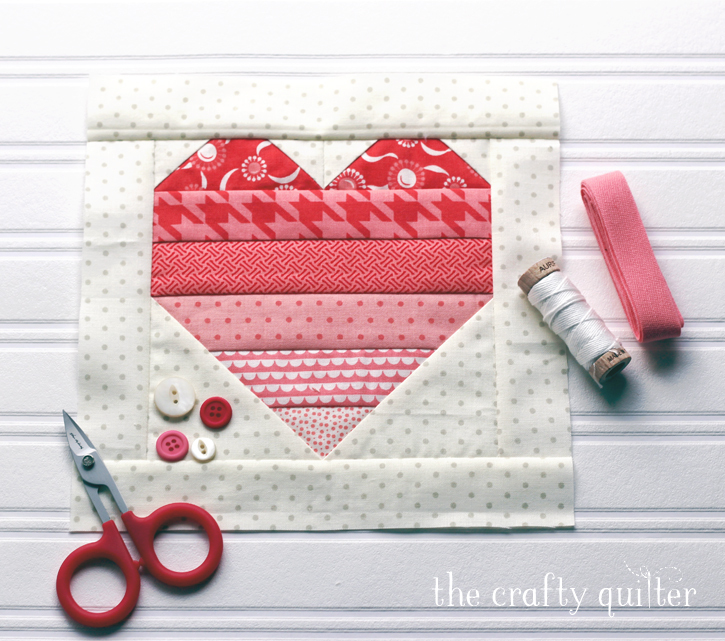 It’s a great stash buster and I love the color gradations in this heart block. 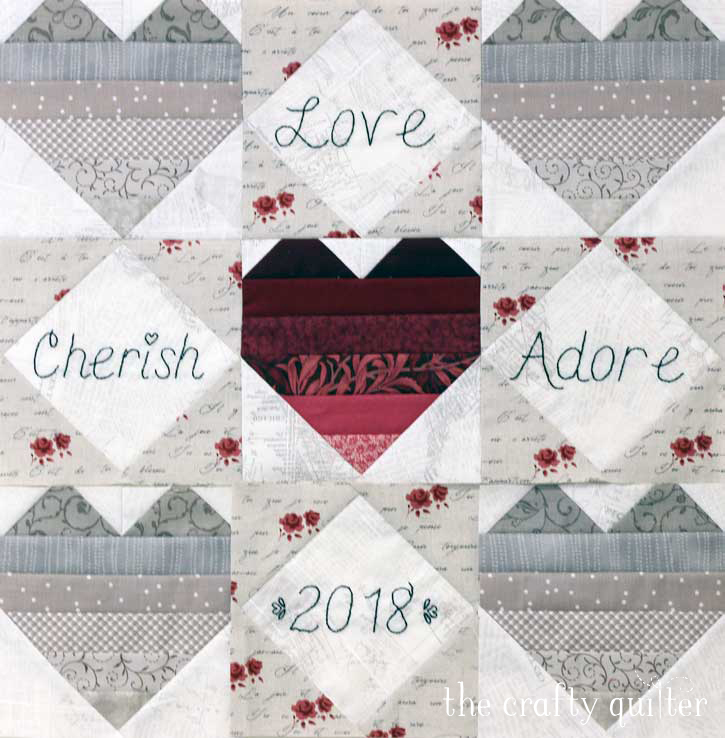 The ombre heart quilt block finishes at 6″ square. I added 1 1/2″ (unfinished) borders to the block which makes it 8″ finished. 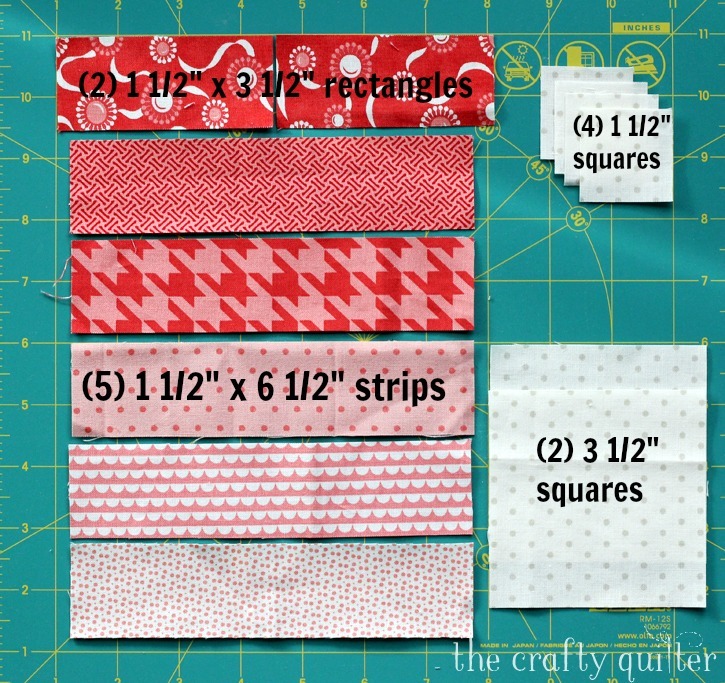 Sew together the 1 1/2″ x 6 1/2″ rectangles in order of light to dark. Press towards the dark. Draw a diagonal line on each background 1 1/2″ square. Place one on each end of the dark 1 1/2″ x 3 1/2″ rectangles. Stitch on the diagonal line, trim and press. 3. Draw a diagonal line on each background 3 1/2″ square. Place on the bottom corner of the strip set created in Step 1 and stitch on the diagonal line. Trim and press. Repeat for other corner. 4. 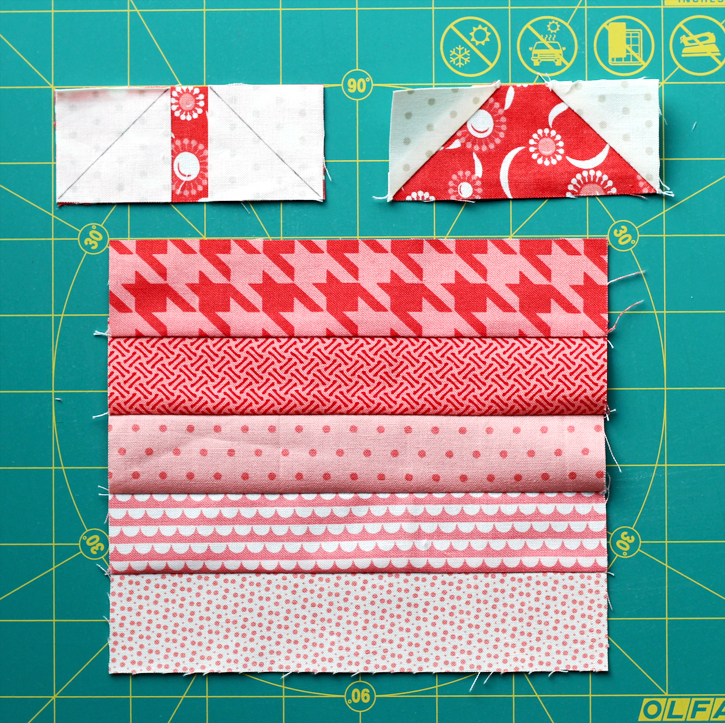 Sew the two dark 1 1/2″ x 3 1/2″ units (from step 2) together along the short ends to create the top of the heart. 5. Sew the top and bottom of the heart together and press towards the bottom. 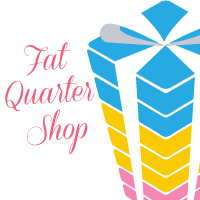 The heart should measure 6 1/2″ square. 6. Optional: Sew (2) 1 1/2″ x 6 1/2″ rectangles to each side of the heart. 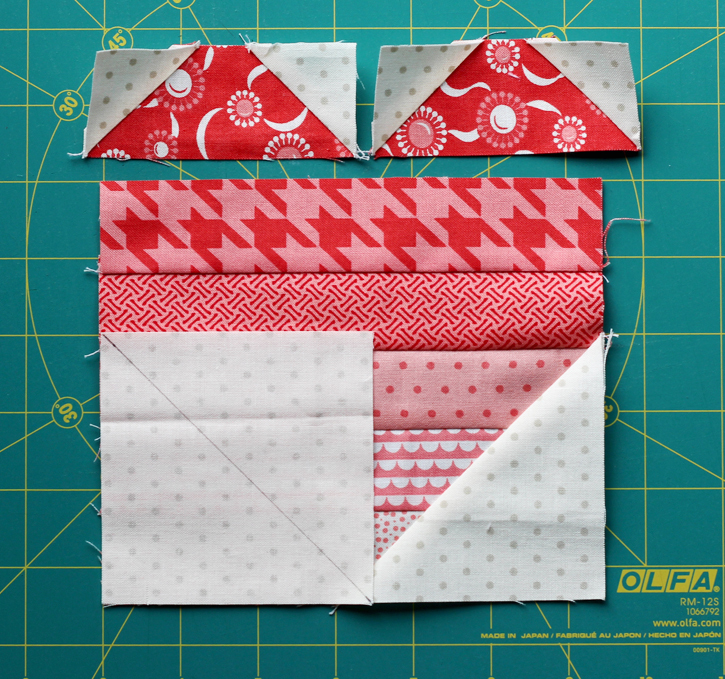 Sew (2) 1 1/2″ x 8 1/2″ rectangles to the remaining sides. Use your imagination to create all kinds of projects with this ombre heart. I can imagine a rainbow of different ombre hearts in one quilt. The project that started it all for me was this little wall hanging (still unquilted). I used a neutral color scheme with a red accent. The alternating square-in-a-square blocks created a space for some embroidery. The quilt measures 18 1/2″ square. I hope you have fun with this tutorial. I would love to see what you make! 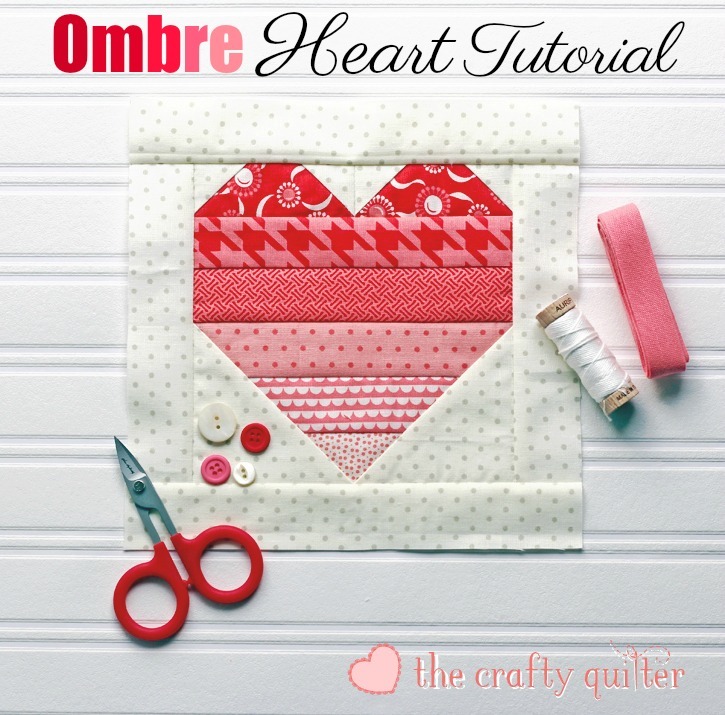 If you’re on Instagram, use the hashtag #ombrehearts and/or #ombrequilt, and tag me @thecraftyquilter. 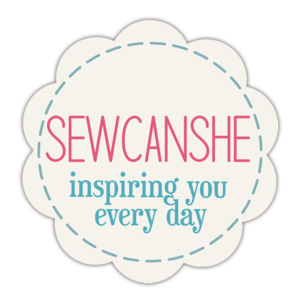 Have a heart-filled day of sewing! Oh, Julie!!!! My heart is full of joy for you the birth of your beautiful little Clara Grace, love the name! Where would we be without God’s grace? And, congratulations to the entire family! And, thanks for the heart tutorial! It is my favorite of all the heart patterns that I have collected!!!! Have a wonderful time with your babies! I really like this! I have been looking for a simple heart block for quite some time and this fits the bill nicely! Will definitely give this a try. Thanks! Thank you, this was very fun to make, I love the way it came out and plan to use it on a lap quilt for our Veterans! Wow! Super easy that even I can do it. Thank you for this tutorial. I love it! Love your “ombre” heart! 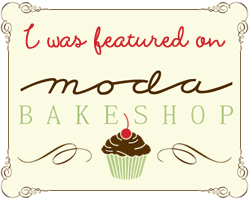 I think I will make some cute mug rugs with this design…..Thanks Julie, you are always coming up with neat ideas. Hello Julie; I would love to have just a tiny smidgeon of your creativeness. Your heart block looks like a lot of fun to make and a great scrap buster also. I am going to PIN it and hopefully be able to make it soon. 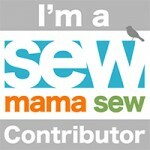 Thank you so much for designing and sharing all of the fabulous projects that you do! I hope that you have a fabulous evening! Thank you for an adorable tutorial. It’s a sweet block. I pinned it. Oh my gosh, I love this! I’m a ‘hearty’ gal so I’ll definitely be sewing up a few of these cuties. Thank you Julie! 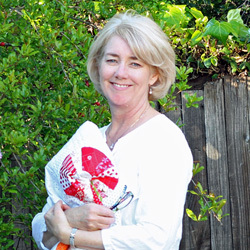 SEWWWWWW Cute…not sure i will get to do something this year like this, but i have already made your stuffed hearts hanging on a lighted tree this year and am enjoying…working on the lavender sachets and hope to have done by next weekend! : ) Have a great day! Hi Julie, Thanks for the tute. I’m going to use if for my strip scrapes. Thin this will cute for a baby quilt. Thanks again so much for a great tutorial. I have done so many of your projects and they are so fun to make. Another great heart block, thanks Julie! Been a while since I have done heart blocks. Wish I had the time today or even this week. Shop hopping in IA and NE tomorrow and my personal maintenance today. But I love the use of strips in these blocks. Thank you. Thanks for the tutorial. Love this cute heart block!!!!!! 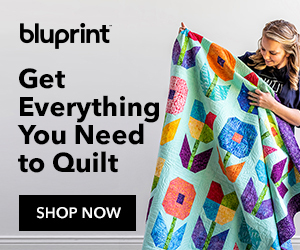 Julie —love the mini quilt you are amazing! Thanks for the tutorial I will definitely one for myself! Oh, thanks for that! 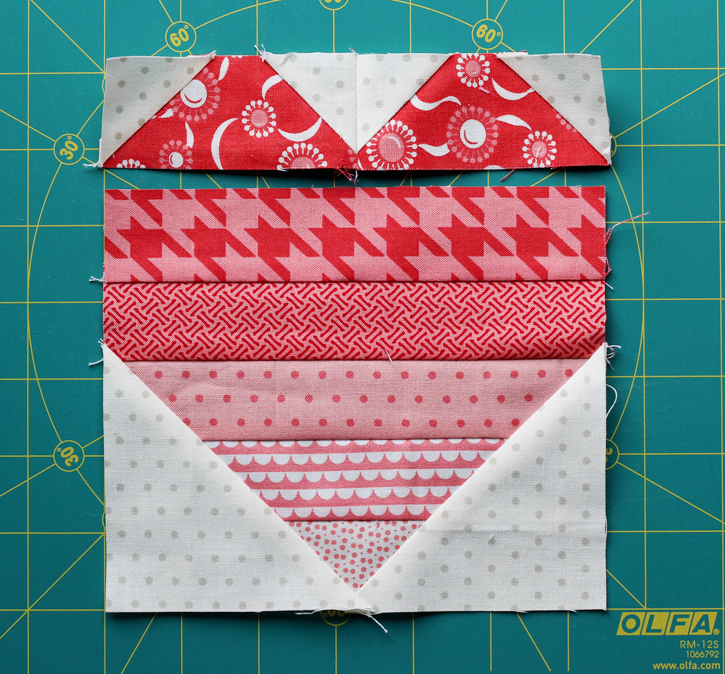 I need to make a 6 1/2″ heart block for our guild meeting next week…this will be perfect! I have a whole drawer full of strips I can raid :-). Very fun!! Printing it now :-D. I do have a question for your creatively sharp mind. I have 3 sons, two are 10 and 7, and my eldest is 22/23 by Valentines Day. What would you recommend for a) The two younger, b) the college guy, very blue collar, played football, floor hockey, very masculine, but high emotional IQ, and c) my husband, who is like my eldest son, just a bit wiser ;-). I am open to ideas from other creatives too .